After loosing a bunch of flies last year to bushes and overhanging branches, even using my shortest rod, a Kiyotaki 21, I thought I’d try something new. I really wanted to catch a Guadalupe Bass. I was fishing on some private waters on Cypress Creek in Wimberley, TX. 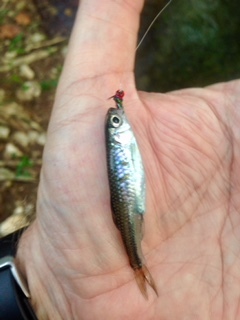 Last year I only caught one “micro” fish. This year I tried Chris’s method and used a Tenryu Rayz RZ39LL 3’-9” rod, a Shimano Cardiff CI4+ reel and Daiwa 2.5g Crusader spoon. 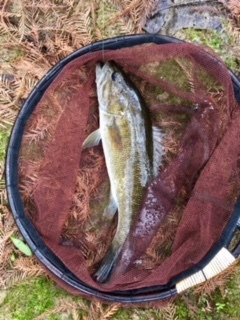 Second cast and I had my first Guadalupe Bass! 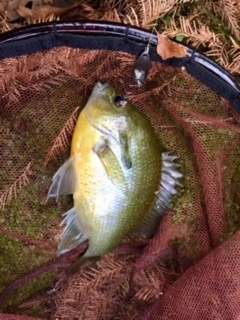 Fourth cast a nice Redbreast Sunfish. Next day, before a downpour, another larger Guadalupe Bass. This time, no lost flies!! Did loose one spoon to a sunken cypress log. All of this goes to show you, that sometimes a change of tactics/ attitude works in your favor. I won’t stop using my Tenkara, Keiryu, Seiryu rods but will keep an open mind on what equipment (rods, flies, spoons, etc.) to use. Just have fun!! I knew those were Guadalupe Bass! I am so jealous. I was at McKinney Falls State Park near Austin, and the ranger marked a good spot for me to possibly catching one. I had one follow my fly over a half dozen times. I could lead that pesky bass within 4 inches of my leg if I stood still! 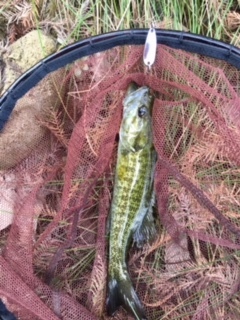 I did hammer the sunfish, and caught a nice spotted shiner! That bass still bugs me. I must confess, I have used my ultralight spinning rod several times this year. I have used a casting rod as well as several of my fly rods. I have a very nice ultralight spinning outfit. It is fun, but not as fun as fixed line. It does have its place. I have been eyeing the Tenryu Rayz RZ39LL 3’-9" rod. Thank you for sharing your story. Man those are nice fish. We need a Texas tenkara jam so we can get together and fish. Nice stuff . Next time alternate the little Vega spoon between the spinning rod and the Tenkarabum 40 and see if there is a difference. I have no idea, but i may have to get that little spinning rod just to see.